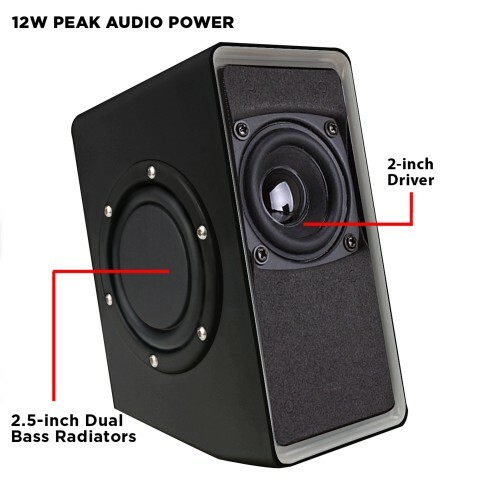 The SonaVERSE O2i USB powered computer speakers feature front-loaded 2-inch 3W drivers with dual 2.5-inch bass radiators on each speaker for enhanced bass resonance. 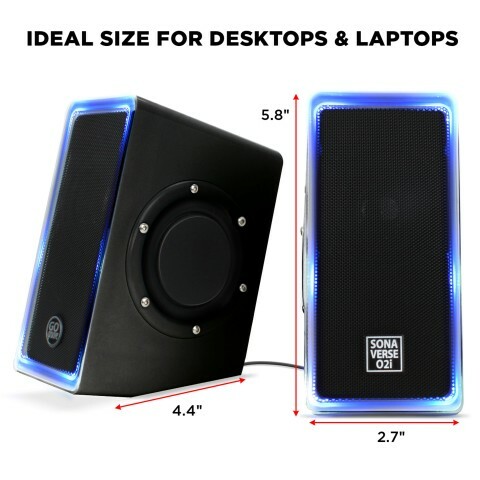 This allows you to listen to music and watch movies with balanced stereo sound, crisp highs, warm mid tones, and deep bass. 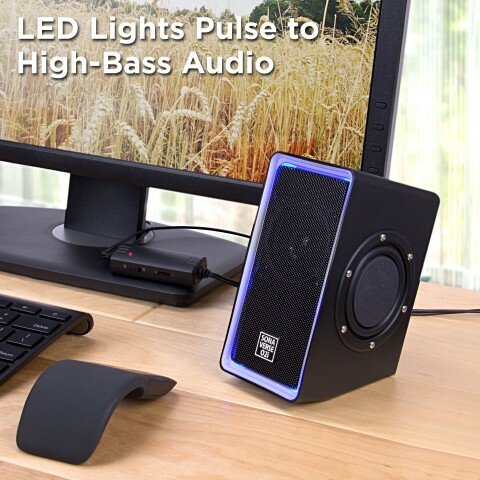 Housed in a black matte shell and a polished metal mesh, the O2i speakers are designed to add powerful sound and style to any desk setup at home, in the office, or college dorm. 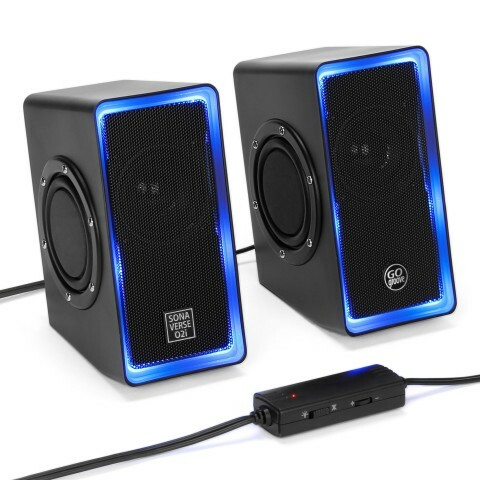 As a bonus feature, each speaker is accented with LED lights for a pulsing glow that reacts to heavy bass. 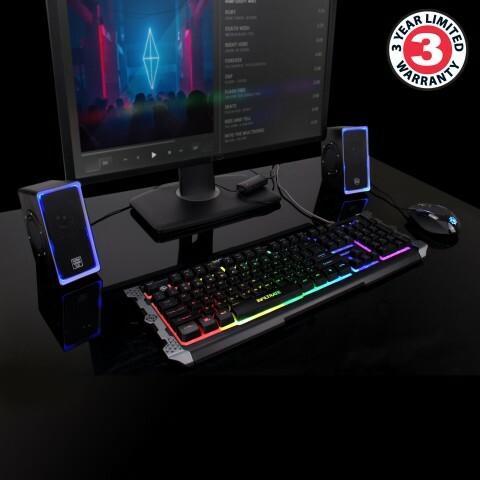 No extra adapters are required for this compact setup. 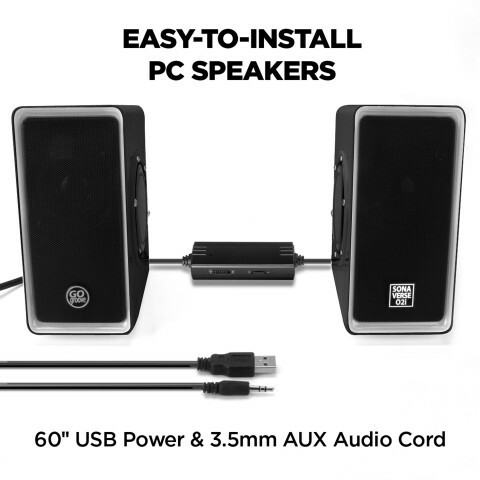 Built-in 60" USB power & 3.5mm AUX audio cables let you connect the O2i directly to your computer without the need for an AC outlet. 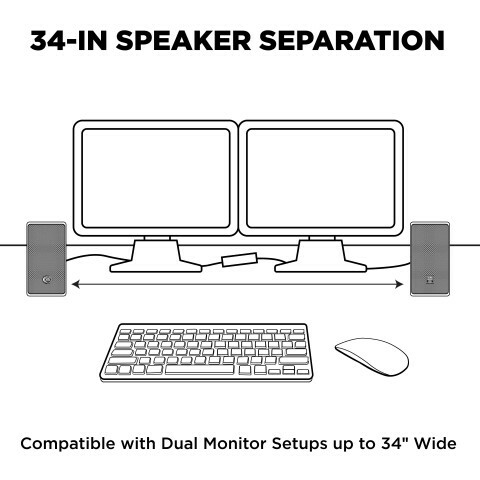 Experience 2.0 stereo audio without messy cable nests found with 3-unit speaker systems (left channel, right channel, separate subwoofer) and all their audio/power connector cables. 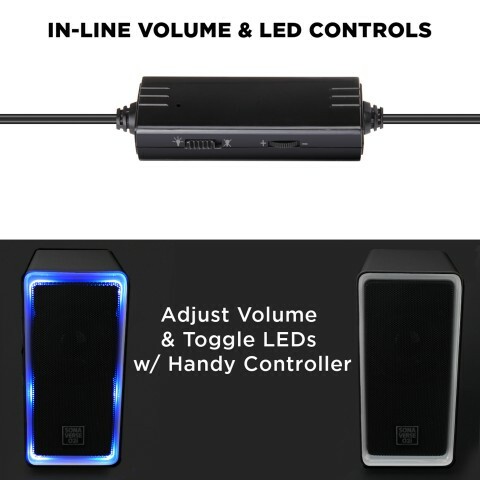 In-Line Volume and Light Switch: As part of the upgrades we implemented on the newest generation of the O2i speakers, we combined the LED light On/Off switch with the volume dial so that a single controller offers total personalization. 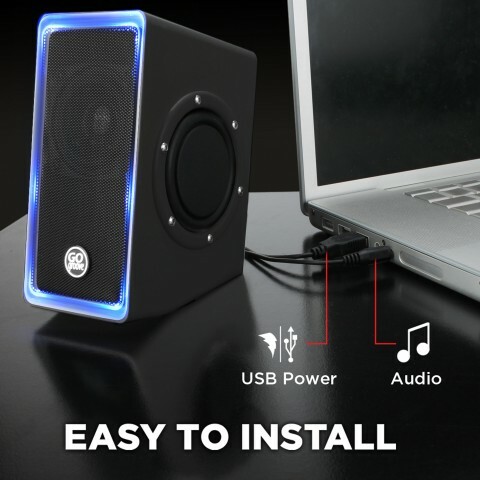 Compatible with: Desktops and laptops with (1) x USB port and (1) x 3.5mm Audio Out (headphone port).